My Etsy shop is up and running! You can check it out here. 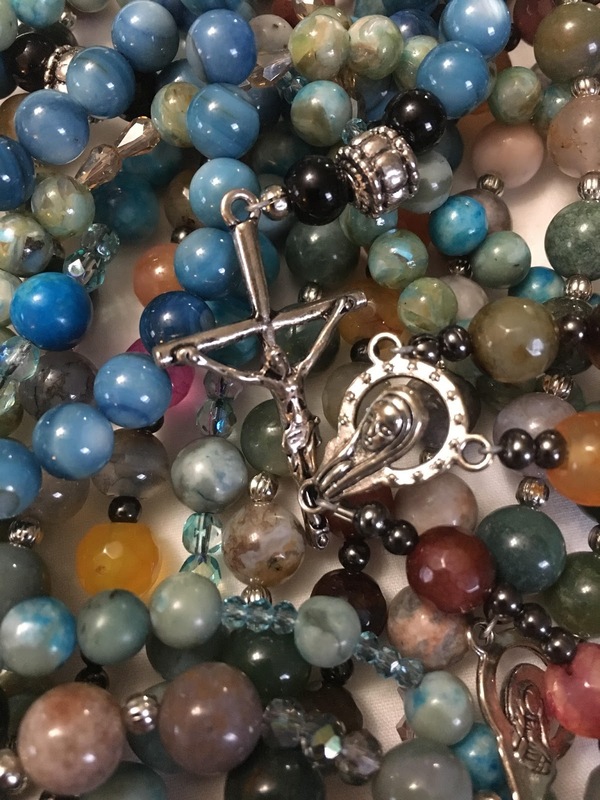 I have full 5 decade Rosaries and Rosary bracelets. I even have essential oil diffuser Rosaries and bracelets using lava beads that absorb the oils! These are premium Rosaries using natural beads and flexible wire. They could make the perfect gift for Christmas, Confirmation, First Communion or Birthdays!